Many young adults, teens and children with migraines are deficient in these three nutrients, study finds. 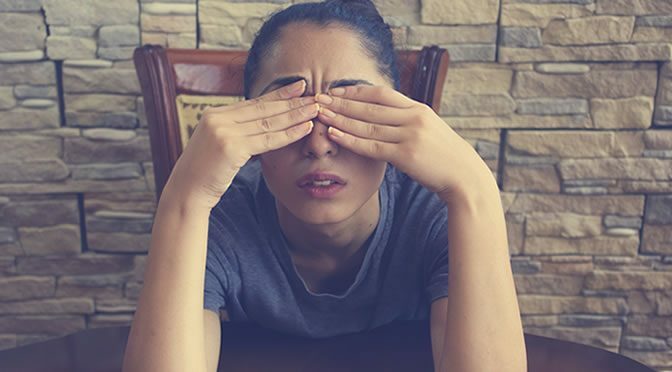 Mild deficiency of coenzyme Q10, riboflavin and vitamin D has been found in a high percentage of patients with migraines. Researchers from Cincinnati Children’s Hospital Medical Center found that supplementation of coenzyme Q10, riboflavin and vitamin D may benefit migraine patients. The patients’ blood levels of vitamin D, coenzyme Q10 and riboflavin were checked. Deficient patients were given vitamin supplementation. Young women and girls were more likely to be deficient in coenzyme Q10 compared to young men and boys. However, young men and boys were more likely to be deficient in vitamin D.
Patients who suffered from chronic migraines compared to episodic migraines had higher coenzyme Q10 and riboflavin deficiency. Coenzyme Q10 — a vitamin-like substance — is a key to energy production in the human body. Organ meats such as liver, heart and kidney naturally contain high levels of coenzyme Q10. It has also been found in beef, mackerel, sardines, nuts, shellfish, broccoli, dark leafy greens, pork and chicken. Riboflavin is known as vitamin B2 and, like the other B vitamins, plays a role in energy production and is involved in many other functions such as eye, skin and digestive health. Foods rich in riboflavin include organ meats, lean meats, eggs, milk, cheese, leafy vegetables, almonds, mushrooms, legumes and fortified grains and cereals. Vitamin D can be obtained from sun exposure, oily fish such as salmon, and supplements. In addition to being essential for bone and mental health, vitamin D is involved in the reduction of inflammation, neuromuscular and immune function and modulation of cell growth. The study was presented on June 10, 2016 at the 58th Annual Scientific Meeting of the American Headache Society in San Diego.